-Became, in 1998, the first eastern- European institution that coordinated a SOCRATE-COMENIUS transnational project, Action 2. The project was called EURROM and it aimed at introducing components of roma culture in the educational process. 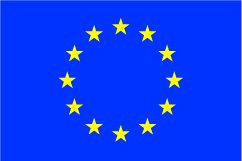 – became, in 2006, the first Romanian NGO that received finance through the E.U. program on European Active Citizenship. Also, in 2008, the I.I.T. was the first Romanian NGO that won a project through Action 5.1. of Youth in Action program – Trans-national partnerships. I.I.T. accessed fund for youth mobility starting with 1997. Since then, I.I.T. hosted dozen of volunteers from many European country and American countries. The period of mobility varied from several weeks up to one year.